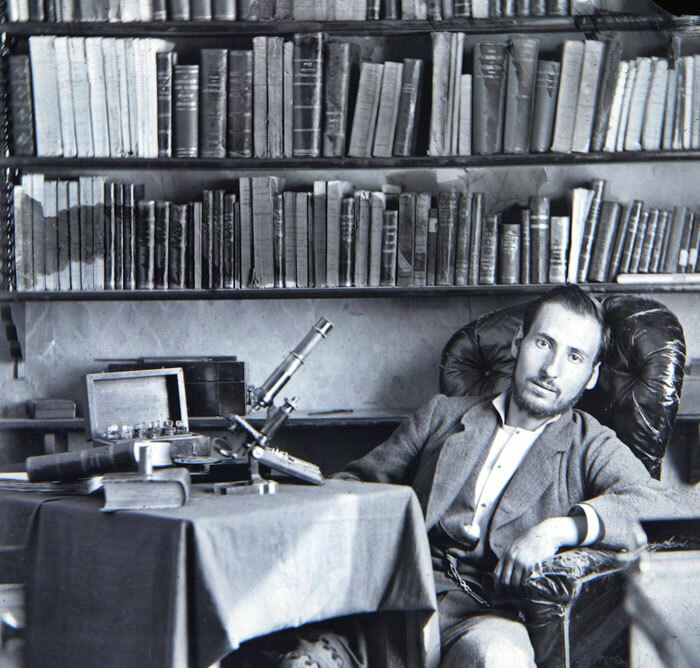 Happy Birthday, Santiago Ramón y Cajal! I don’t think I could improve upon her excellent article at all, so I recommend that to you first. Her article summarizes Cajal’s observations about the ways in which we can so easily defeat ourselves in the pursuit of excellence. I, for one, find that his observations and advice offer very wise guidance, a series of signposts marking pitfalls that can entrap our egos all too easily. Cajal clearly lived by his own advice, and his achievements were marked by hard work and dogged perseverance as well as brilliant insight. Fr ee will and the self. What are they? While they are the two most important phenomena to each and every one of us, they’re notoriously hard to describe. Of course, we ‘know’ what they are: respectively, they are the experience, the feeling, of being in control of our own actions, of our thoughts and behaviors, and of having an identity and a personality that exists over time. Without them, our lives seem pointless: if we have no free will, then we are mere automatons, and we can take no credit and no responsibility for anything we do. If we have no self, then there is no we, no ‘I’, at all. Experiments and scholarship by neuroscientists, biologists, psychologists, and others have revealed some starling things about the workings of the brain and how human beings think, behave, and make decisions. The field of neuroscience has grown by leaps and bounds in the past few decades since the advent of technologies that allow us to observe the living brain at work, though we’ve been learning much about the brain over the last few centuries by observing the results of damage to its various parts. These results have, in turn, thrown traditional accounts of the self and free will into question. Many have gone so far as to say that since we’ve discovered that our actions result from the cause-and-effect processes of a physical brain, then we have no free will: our actions and all our thoughts are determined by the cause-and-effect laws of nature. And since we’ve discovered that the sense of self arises from the confluence of the workings of the parts of the brain, and damage or changes to those parts can cause radical changes to our personalities and the ways we feel about the world and ourselves, that the self is an illusion too. Yet, how can free will and the self not exist when we experience them throughout our lives? Since we can talk about them to one another, they must exist in some sense, at least. And it’s not that they exist in the way that fictional characters in a story exist, for example, or other artificial creations. We experience these phenomena intimately, from the time we attain consciousness early in life, until the time our brains are so aged or damaged that we are conscious no longer. The concepts of free will and the self are ubiquitous in our language, our culture, the very way we think. Read this paragraph again, review all the thoughts you’ve had in the last hour (and ever had, in fact) and you’ll find that the concepts of ‘I’, ‘you’, ‘we’ (distinct selves in the world), combined with the concept of some action or thought purposely performed by one’s self, are a constant theme. In fact, almost everything we talk and think about would be incoherent without these concepts, and all the purposes that drive us would disappear and render all we do meaningless. So what gives? How do modern discoveries about the workings of the brain jibe with traditional concepts of free will and the self? It appears the confusion results from the way we use the terms. There are actually two things we’re referring to. One is the actual experience of the phenomena we call ‘the self’ and ‘free will’. The other is how we account for them, how we define them and explain how they work. Consider what we mean by other terms, such as ‘disease’. At one time or another, we had various explanations as to what these things are, and how they are caused. One popular explanation that convinced people for hundreds of years: disease is the result of the imbalance of the four humours of the body: blood, black and yellow bile, and phlegm. A physician’s job is to restore the balance and so bring about cure. Other explanations are vitalist (life and health are the result of the interaction between some sort of non-physical spiritual ‘force’ or ‘energy’ and a physical body), such as chiropractic and traditional Chinese medicine. Disease is cause by some sort of disruption in the body, and a physician’s job is to correct the alignment and communication channels of the parts of the body so that the vital force can flow freely and restore health. And the most pervasive and popular explanation of disease throughout human history, of course, is that it’s caused by the vengeance of an angry god or the maleficence of evil spirits (witch-burnings, anyone?). Over time, human beings invented and developed the scientific method pioneered by Francis Bacon, and began to more carefully examine the correlations of disease symptoms with the circumstances in which they occurred (outbreaks of cholera mapped so that the epidemic was revealed to center on a polluted source of drinking water in 1830’s London; the correlation of damage to a particular parts of the brain to the symptoms of brain damaged patients; the dissection of corpses, comparing diseased organs to healthy ones). With the discoveries of the physical causes of disease, by pathogens and by damage to parts of the body, effective cures were finally able to be developed. Given that the explanations for the origins of disease are based on the understanding that they’re natural, the result of physical processes, and traditional explanations, does that mean that disease can no longer be said to exist? Does that mean we have to come up with an entirely new terminology? I don’t think it does. The term ‘disease’ refers to instances of the body suffering in some way, not functioning as a healthy body does. What we do when we are confronted with the phenomenon of disease is the same as it ever was: we seek to avoid it, we detest being afflicted by it and seeing others afflicted by it, we seek to understand its causes, and we seek to cure it. Similarly, the denial of the existence of free will and the self is based on the misguided assumption that understanding the inner workings of a thing, in a way incompatible with traditional explanations, is to deny that the phenomena exist at all. To understand that the mind is the product of a physical brain obeying the laws of nature rather than a sort of spirit or soul inhabiting a machine-body is not to say the mind doesn’t exist. The experience of free will and the self is the same either way, and whether what makes the ‘I’ an ‘I’ is better explained naturally or supernaturally makes no difference. We are still agents, it’s still what’s going on in our brains that cause everything we do, and we still make choices, and it’s still ‘we’ that make them. In sum, discovering how the phenomena we experience that we’ve dubbed ‘free will’ and the ‘self’ really work doesn’t mean that they don’t exist; it just means we understand more about them now. And to me, as to other lovers of knowledge and understanding, that’s a good thing.